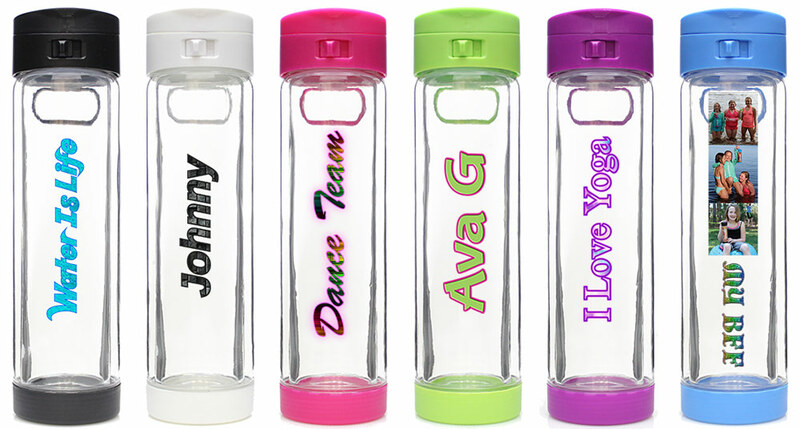 Create a unique custom Glasstic® Water Bottle with text and images! 1. Just choose any Glasstic® bottle and select "Personalize". 2. Sign in or create an account to save your designs. 3. Upload text and images using our Online Design Tool. Don't have a logo? Use our Text Logo Generator to create and upload. 4. Click preview to view your design on the bottle. 5. When ready, accept proof and add to cart. For more fun ways to personalize your bottle, click here for more Glasstic Personalization Options. For corporate, larger quantities and discount pricing click HERE. Note: There are no returns or refunds for Personalized or Custom Print orders.